Philip has reminded me that I've been back in palm Springs for three weeks and hardly mentioned it. Well here goes - mainly text this week! My arrival in the desert each autumn is always a bit of a shock! 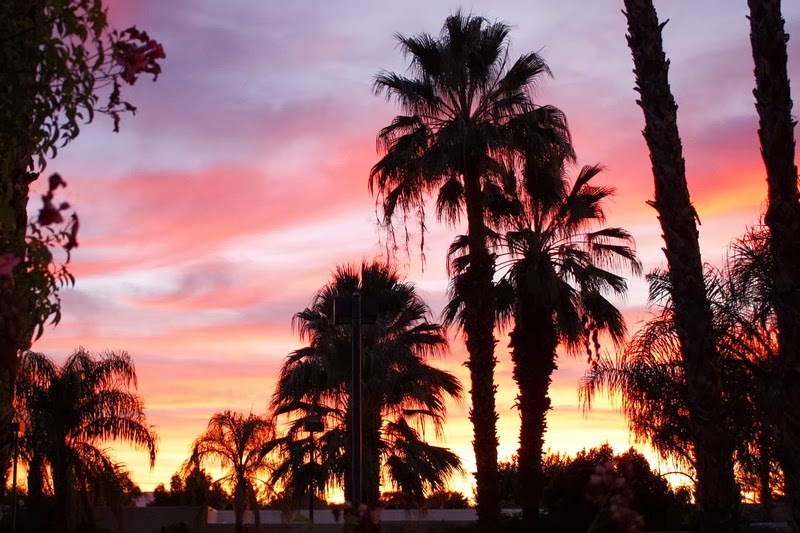 I love my life with Philip in Palm Springs but there are so many things that are different and require adjustment for an oldie such as me, (should that be I?) set in my English ways. On arrival there's the immediate money change, grovelling about in the airport to remove the pounds from my wallet and replace with dollars saved from last year. Driving of course is on the right, although I do love automatic cars which are so common out here. But I still tend to get in the car here on the wrong side and wonder who stole the steering wheel! Fuel is called gas and sold in gallons but I love being able to fill up for $40 (about £25)! And I must remember to refer to the trunk and not the boot! Measurements are still in imperial which includes temperature, meaning that all those carefully remembered cooking temperatures have to be looked up again. Cooking and shopping in itself is a challenging experience. So much of what we do is subconscious and going to a cupboard or shopping in a grocery store (not supermarket) takes so much longer. Not only are products displayed in different places but packaging is all different so one cannot just grab a familiar packet off the shelf. (Talking of which I was delighted to find Bisto here.) And whilst on cooking I do so miss my ceramic hob whilst out here. 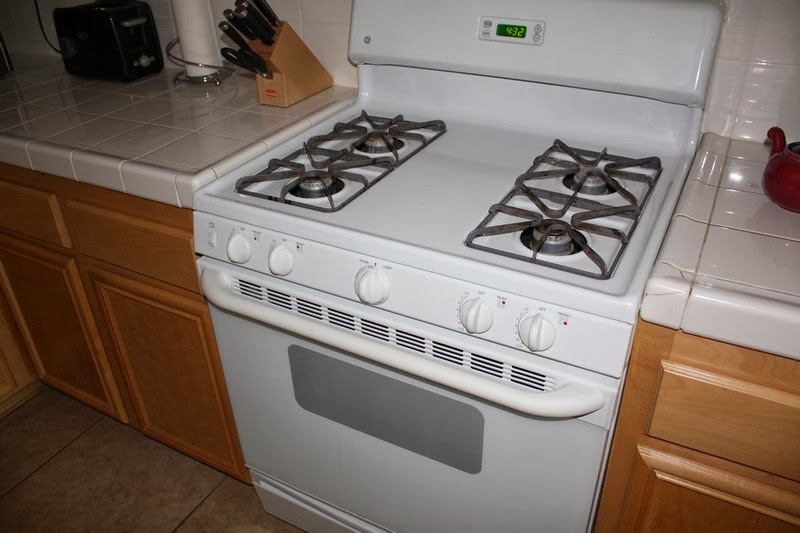 Cookers are mainly gas looking like something out of my mother's kitchen in the 1950's and cleaning it is a pig! Electricity is 120 volts and all the plugs are different but many electrical devices, such as computers are dual voltage. And then light switches are down for off and up for on. Of course with the wonders of the computer age and WiFi everywhere, one isn't out of contact for long but I have to remember to alter my outgoing email settings or it doesn't work! And of course the garden is called a yard which brings us finally to some horticulture! Faithful readers will remember that we moved into our current home just a few weeks before I left last spring so there was little time to start on the garden. I did however bring from our previous home some big pots, mostly of bougainvillea which have survived. I also planted three citrus trees, two of which have thrived, although the third is struggling. We have a magnificent crop of two small Meyer lemons! 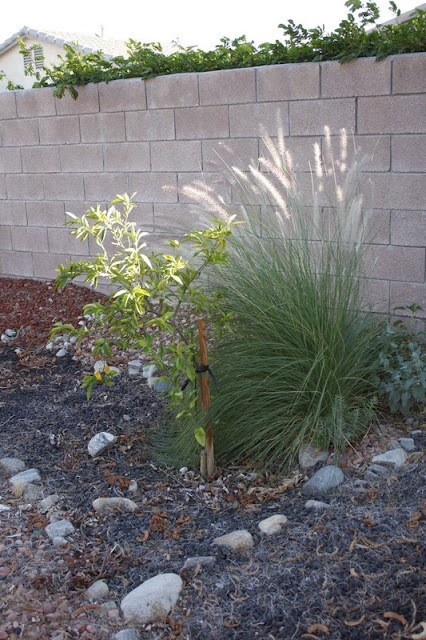 A large clump of Pennisetum setaceum has appeared in the irrigated soil around one of the trees and amazingly a pink flowered Lantana - both of course are regarded in some areas as weeds. The grass is a problem here as it is not a native but spreads rapidly from gardens into the canyons and smothers native species. Gardeners in the UK may well know its more refined relative, the purple fountain grass. 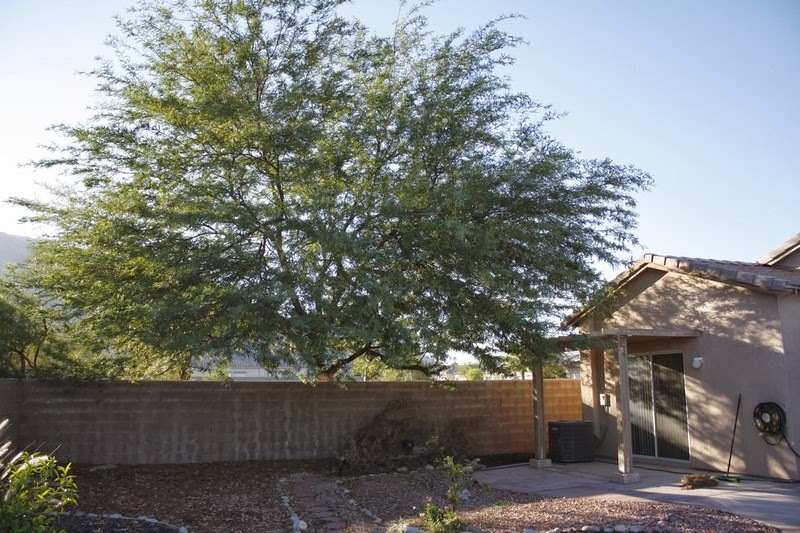 Annoyingly the mesquite tree just outside our yard has almost doubled in size since last year, is covering half the yard and blocking our view of the mountains. Reluctantly I have asked for it to be pruned! I'll let you know what happens! Good luck with the mesquite tree! The subtle differences between two places despite sharing the same language is amusing, fun even. And then it will be the other way around again next spring.